On 14th Mars, I had the opportunity to attend the famous Shakespeare’s play “Hamlet”. The play was performed by the Shakespeare’s globe theatre, which is a foundation that aims at exploring, studying and presenting Shakespeare's work. 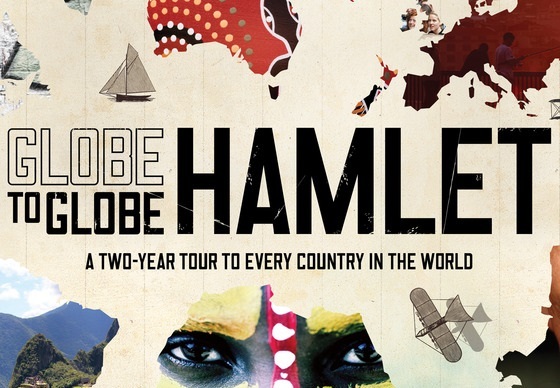 The event was part of a 2-year adventure initiated by the foundation to perform Hamlet in every country of the world. 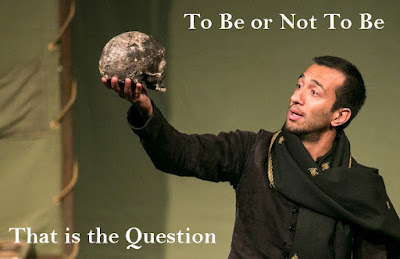 In this article, I will give a short biography of Shakespeare, an overview of Hamlet, and my personal impressions on the play. 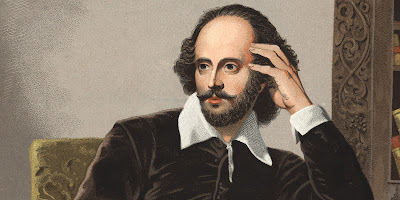 William Shakespeare is an English poet, playwright, and actor considered as one of the greatest English playwrights. He wrote about 38 plays, 154 sonnets and two long narrative poems. Shakespeare was baptized on 26 April 1564 in Stratford-upon-Avon. His father John was a successful and rich glover and his mother Mary the daughter of a landowner. When he was 18, he married Anne Hathaway, with whom he had three children: Susanna, and twins Hamnet and Judith. In about 1587, he went to London and became an actor and a playwright. Tragedies (e. g. “Hamlet“, “Macbeth“, “Romeo and Juliet”, “Othello”, “Julius Caesar”). Shakespeare died in 1616 and buried in the Holy Trinity Church of Stratford. Several years after Shakespeare’s death, some researchers and academics especially the “Oxfords” started questioning his existence and the authorship of his poems and plays. They also proposed alternative candidates as the authors of his works such as Francis Bacon, Christopher Marlowe, and Edward de Vere. Hamlet or “The Tragedy of Hamlet” is the longest, the most popular and the most powerful plays of William Shakespeare. This tragedy was written at an uncertain date between 1599 and 1602. The protagonist of the play is Prince Hamlet of Denmark. After the death of Hamlet’s father, his uncle Claudius took the throne for himself and married his brother’s widow Gertrude. One day, Hamlet’s friends encounter the ghost of the late King and inform Hamlet about it. This latter decides to seek him and talk to him. When the ghost appears to Hamlet, he tells him that he was murdered by Claudius and asks for revenge. Despites his confusion and uncertainty, Hamlet decides to prepare secretly a plan to avenge his father. Since then, Hamlet’s behavior becomes weird and insane for Ophelia, the girl he loves, his mother and the others. After that, a series of events follow on. Hamlet kills mistakenly Polonius, Claudius’s advisor and Ophelia’s father, who was spying his conversation with his mother; Ophelia becomes crazy and commits suicide after her father’s death; Ophelia’s brother Laertes decides to kill Hamlet to avenge his father and sister; Hamlet invites some actors to perform a play about a murdered king in front of Claudius and Gertrude, and studies Claudius’s reaction during the play; Claudius conspires with Laertes to kill Hamlet. In the last scene, Hamlet fights with Laertes and kills him and Claudius, while his mother drinks by mistake the poisoned wine that was prepared for him. At the end, Hamlet decides to commit suicide by drinking the dregs of the poisoned wine, and tells Horatio to tell his story to the world. From a content point of view, Hamlet is a tragedy that deals with many political, social, religious and psychological issues. On the one hand, it describes the political context of Denmark and the wars with its neighbors. On the other hand, it addresses many controversial issues such as revenge, suicide, love and loyalty. It also contains a vivid dramatization of insanity, sadness and human uncertainty. That’s why many psychoanalysts consider this play as a rich source of human thinking, emotions and behaviors. Furthermore, feminists consider it a good reference to understand the woman’s situation in early modern England where men wielded absolute power. They especially focus on studying the characters of Ophelia and Gertrude and discuss their lives and deaths. From a linguistic perspective, Shakespeare’s language is known to be difficult, complex and elaborate, especially for contemporary readers, first because his work is written in Early Modern English that may contain obsolete words, and second because he uses highly developed verse techniques such as metaphors and rhetorical forms. Surprisingly, when his plays are performed in theatre, language has never been an obstacle for audiences to understand the story and follow the action. First of all, I consider myself lucky because I had the opportunity to attend one of the most famous Shakespeare’s plays. I really liked the play and everything about it. - All actors are talented, they showed a deep understanding of the characters they are playing and they genuinely portrayed them. They have great control of their vocality and they read their scripts smoothly. Their movements and the interactions with each other were flexible and harmonious. In short, I really enjoyed the performance and was so moved by the actors’ emotions that I forgot, at a certain point, that I was watching a play and started believing they are real characters. 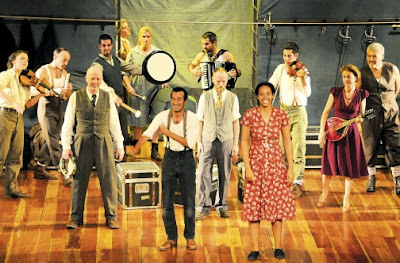 - The actors are polyvalent, they play their characters, they sing, they play music (each using a different instrument), they dance, and all this in a wonderful way. 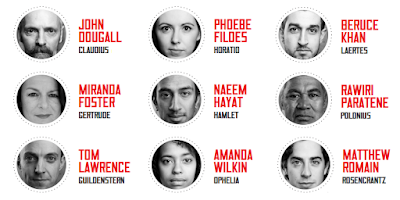 - The actors played different characters in the play except Hamlet. For example, the actor who played Polonius played also the roles of the priest and a gravedigger. 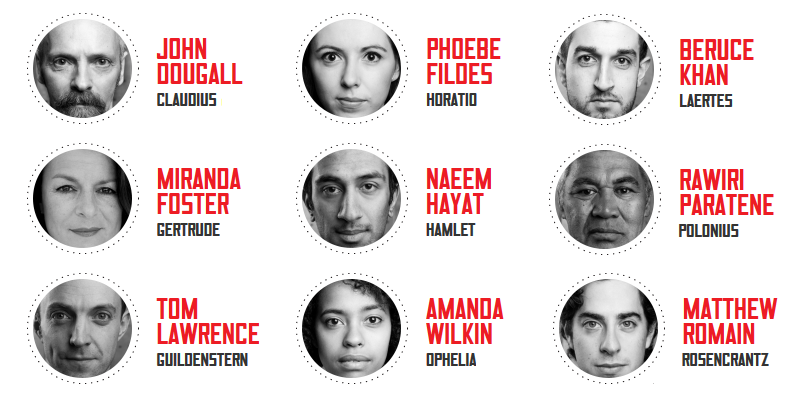 The actor who played Claudius played also the ghost of Hamlet’s father, and an actor. The actress who played Gertrude, Hamlet’s mother, played also the roles of a gravedigger and an actress. I think this reveals a remarkable talent and high skills, because even if these characters are completely different, actors were able to switch from one to another with proficiency and flexibility. - Something I’ve never seen before and that I really appreciated is that everything on the stage was organized during the performance, and by the actors themselves. The actors change their clothes in front of the audience to pass from one act to another. The scenery is changed and the set pieces moved dynamically as the play progresses. Although sometimes, a tragedy can be monotonous or boring, but these techniques created ambiance on stage and brought more energy to the play. - For the same reason of making the play more active and dynamic, music, singing, dancing and choreographies were included in some scenes of the play. This also helped to lighten the dramatic aspect of the story. Another good point in the play is that actors, when they are not performing their roles, stay on stage to play sound and music cues that accompany the scenes performed by the other actors. - The play resources are optimized. Indeed, actors wear the same clothes for the different characters they play, but to respect the characters’ specificity, some accessories are added. The objects of the scenery are also reusable and serve different functions. For example, boxes served as chairs or musical instruments, or were used to construct a bed or a grave. - Even if I find Shakespeare’s language difficult and complex, but fortunately, a summary of every scene was projected in a screen positioned above the stage. So I could easily follow the story and understand the main events. Finally, it has to be noted that I’m not an expert in the theatrical art and all my remarks and opinions on the play can’t be taken as a reference to judge its quality. 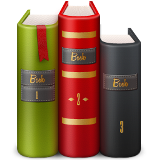 I’m only a book-lover and a spectator who describes a personal experience and gives personal feedback on it.